Back when Google first hit the scene, nobody could have foreseen how huge it would become. What was once merely a clever search engine has now remade the world in its image, with virtually every function of the internet connected to Google. Email has become Gmail. Ditch your hard drive, thanks to Google Drive. If you're not using an iPhone, you're probably using something running Android. Everywhere you look (and in many places you don't look), Google is there, just silently watching. For thousands of people, though, Google is also a workplace. Back in its earliest days, the future tech giant was just a dorm room, where a couple dreamers — followed by a few more — worked together to create something new. While it's a bit tricky to pinpoint exactly who Google's first 10 employees were or the order they came in, these individuals all played key roles in bringing the early Google to life. This little dorm project blew up into its own company by 1998, according to Britannica, and it has only grown bigger ever since. 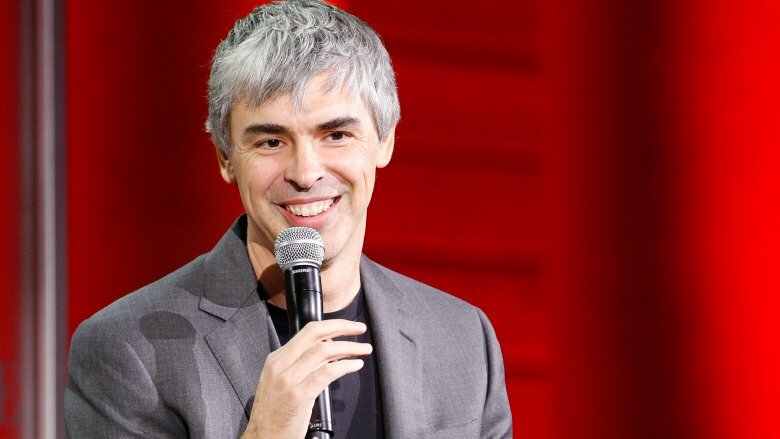 Throughout the tech giant's life span, Larry Page has always been involved, working as Google CEO until 2011, followed by a stint as president of products before going back to his original position. One of the biggest shakeups occurred in 2015, when Google was restructured as a subsidiary of the newer, bigger company called Alphabet, with Page as top CEO. These days, according to Bloomberg, Page's net worth is almost $60 billion. However, the company faced some aggressive employee backlashes in 2018, which Page has (so far) been rather quiet on. Sergey Brin and Larry Page went from PageRank to Alphabet together, but they came from rather different backgrounds. Brin, according to Biography, was born in Moscow, Russia. His parents, a scientist and a mathematician, fled to the United States in 1979 to escape the widespread Jewish persecution happening in their home country. Brin's knack for mathematics was what got him involved in Google in the first place, but he could never have calculated how huge the search engine would become. In 2004, when Google held its initial public offering, Brin became a billionaire. Today, Forbes estimates his net worth at about $55 billion. 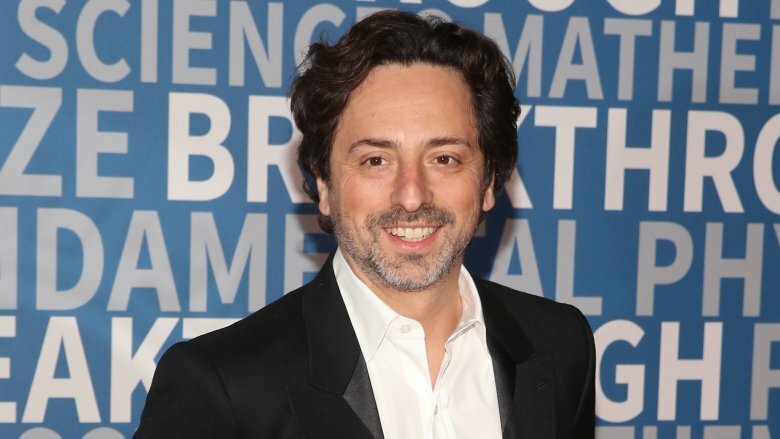 Brin first became Google's president of technology in 2001, and since the 2015 corporate restructuring, he has worked as president of Alphabet. Outside of his Google life, CNN says he has poured over $100 million of his personal funds into research on Parkinson's disease, which his mother had. He also runs the Brin Wojcicki Foundation alongside his ex-wife, Anne Wojcicki, who was the cofounder of the genetic testing company 23andMe. Cool side note: In addition to co-inventing Google, Brin also invented the now iconic Google "Doodle" artwork that occasionally decorates the homepage. When the Google crew attended Burning Man, Vanity Fair reports that Brin put up a logo for the festival, setting the stage for some of the more adventurous Doodles that would follow. While Brin and Page were the dynamic duo who turned on the Google machine, they were certainly not the only ones who have kept it running. They had to hire employees, and according to International Business Times, the very first one on their list was a fellow PhD student named Craig Silverstein. His skills at data mining and information retrieval proved pivotal in Google's early development, and when the search engine transformed from a dorm project hobby to a real business, Silverstein took on the more official role of technology director. Though Silverstein originally planned to stay on for only four or five years, the search engine's stunning success kept him working there until 2012. Once he threw in his G-towel, he took on a new role as dean of infrastructure for Khan Academy. In 2014, Inside Philanthropy reports that Silverstein and his wife, Mary, signed the Giving Pledge, vowing to contribute most of their post-Google wealth to charitable causes. Thus far, their philanthropic focus has been on helping poverty and women's education in the developing world. Like any good company, the early Google didn't neglect to implement a human resources department. 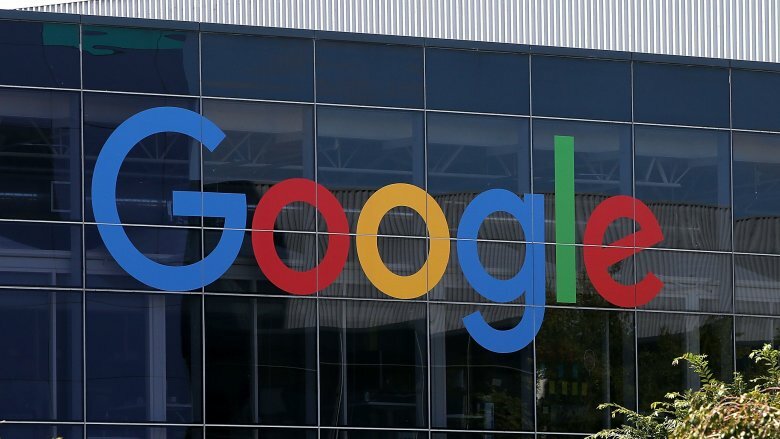 Their first HR manager was a woman named Heather Cairns, a graduate of UC Berkeley and the Massachusetts College of Arts, who went on to hire the next 200 Google employees, according to her LinkedIn. Cairns is the voice of Google's voicemail greeting, which is pretty cool, and she stayed with the company until 2005. In her post-Google life, Cairns turned her attention toward helping others and exploring her creative potential. 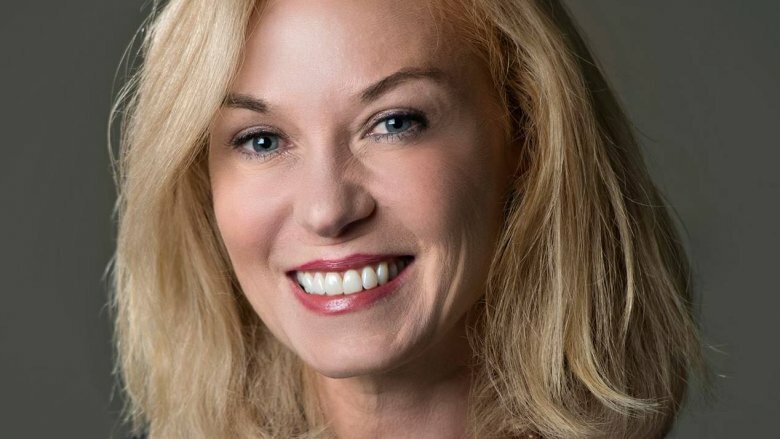 She became a philanthropist for disadvantaged women, attended graduate school for painting, and worked as an angel investor who focused on funding female-led companies. More recently, she has taken on a new role as the president of a proposed development called The Mariner, which aims to be a very New England-style assisted living, independent living, and memory care center in her native Marblehead, Massachusetts. Ray Sidney met the Google guys rather casually, through a friend who was dating Brin, but he proved to be a key early player in the search engine's development. Already a graduate of both Harvard and MIT, Sidney became Google's fifth employee, according to CNET, and one of their earliest software engineers. He spent the next four years at his computer, then took a yearlong sabbatical … during which point Google went public and he suddenly became very wealthy. Sidney decided not to end his vacation, and instead became a very young retiree. 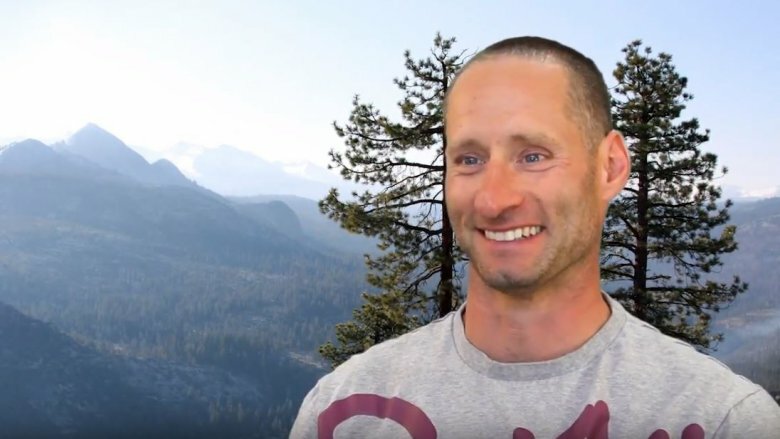 His post-Google hobbies have included training to become a triathlete and earning his amateur pilot license, but he's also made a point to donate huge amounts of money to various public and environmental causes, such as giving $1 million to launch a public bus service near Lake Tahoe. His own house is powered by solar panels and solar heating — self-installed! — and though he enjoyed having so much time off, he couldn't resist the urge to start a sustainable real estate company named Big George Ventures, which constructs eco-friendly homes using sustainable materials. He says his focus is not on the financial bottom line but on doing good for the planet. In addition to his work with Big George, Sidney's LinkedIn also credits him as the co-owner of a Ritz-Carlton development in Arizona. If you spend any time with someone who is involved with internet marketing, there's a decent chance that you've heard about Google's famous spiders, which might sound like bloodsucking cyborg monsters, but are actually a key part of how the search engine works. Basically, these digital arachnids just crawl through the web, looking for new links to index. Google's most distinguished "crawl engineer" of legend was Harry Cheung, a guy so talented at his job that the crew called him "Spider-Man," according to Steven Levy's In the Plex: How Google Thinks, Works, and Shapes Our Lives. 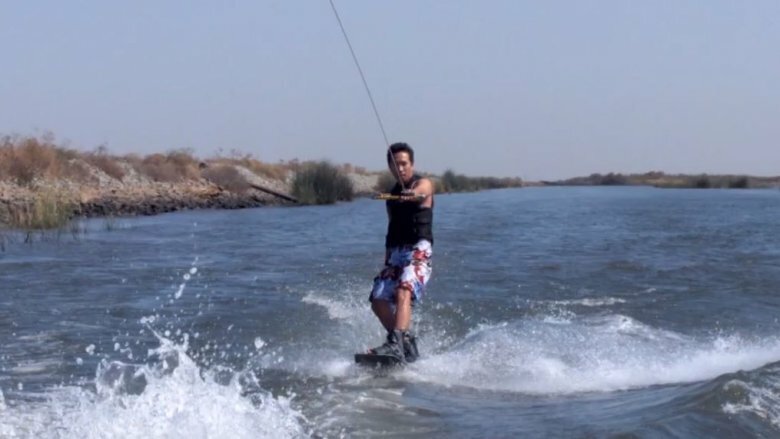 These days, the world's most famous webslinger who isn't named Peter Parker or Miles Morales spends his time as an angel investor for various startup companies, according to CrowdFunder, including businesses like Secret, Xatori, Prepay, QWIKI, and more. His LinkedIn says he also spent eight years as a partner at Siren Studios, in addition to being a co-founder, chief technology officer, and now board member of Roostify, a home-buying service. For the vast majority of Google's life span, the company motto has been a sentence that all-too-many greedy corporations should probably carve into their walls: "Don't Be Evil." The man who first introduced this phrase, according to the Sydney Morning Herald, was an early Google engineer (Employee #6) named Amit Patel. Now, sure, "Don't Be Evil" might sound like something a captured Rebel would plead to Emperor Palpatine, but when Patel first scrawled this moral reminder onto the company whiteboard, he had a good reason: While the early Google was run by engineers and scientists, the introduction of professional businesspeople worried Patel, and he wanted to make sure the founders never lost sight of their humble origins. Happily, Patel's statement became Google's official motto for many years … until 2018, according to Gizmodo, when Google removed the phrase from its official code of conduct. Yikes! Has Google joined the Dark Side? Perhaps that's a conversation for another day. 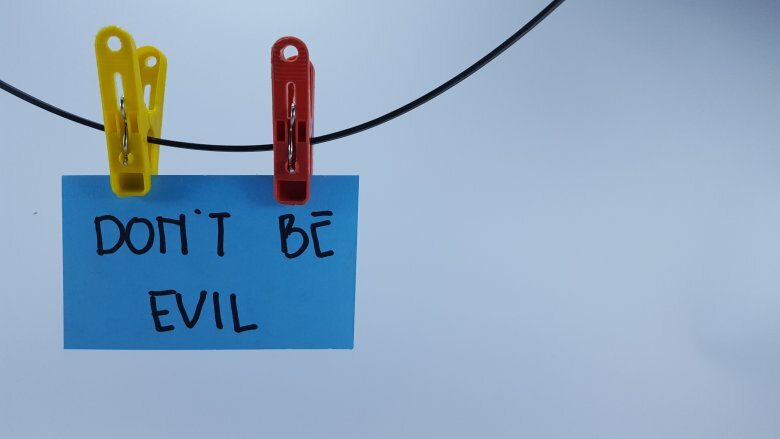 As "Don't Be Evil" has faded away, so has the clever engineer who first said it. Business Insider reports that Amit Patel is a rather mysterious figure in Google history, and there's not a huge amount of intel about his present location or his past. Does he still work at Google today? Who knows. Is he fighting a secret rebellion from within the company to overthrow the Galactic Emperor? For now, the mystery remains, but his words of wisdom will never be forgotten. The internet remembers. 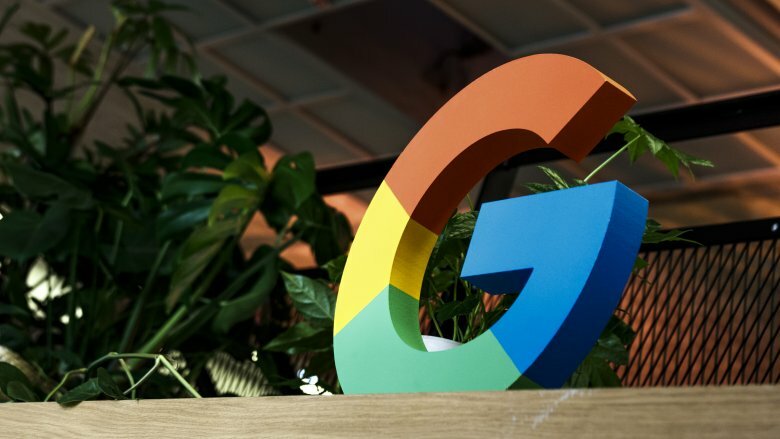 Much of Google's early membership was comprised of PhD students and fresh-faced engineers, but one rather notable exception was the Swiss-born Urs Hölzle, who had already led a rather distinguished career before hopping aboard. 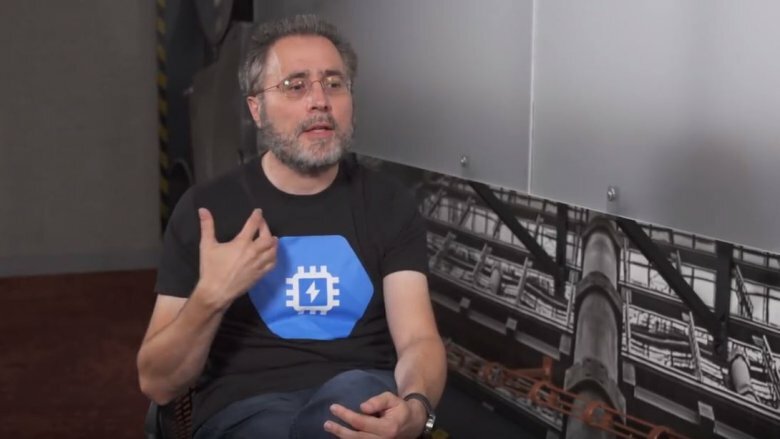 By the time Hölzle joined Google in 1999, according to Bloomberg, he was an experienced software developer, a contributor to DARPA's National Compiler Infrastructure Project, a co-founder of Anamorphic Systems — a company that made compilers for Smalltalk and Java — and, finally, an associate professor of computer science at UC Santa Barbara. Hölzle has remained with Google for over two decades in a variety of roles. Currently, his LinkedIn checks him as senior vice president of technical infrastructure. Hölzle has made a point to prioritize environmental causes, and in addition to working on Google's green initiatives, such as reducing energy use, he also serves as a member of the National Council for the World Wildlife Fund, an organization he has been involved with since he was a young man selling WWF stamps to fund conservation efforts. So yeah, he and that big ol' panda bear have serious roots. 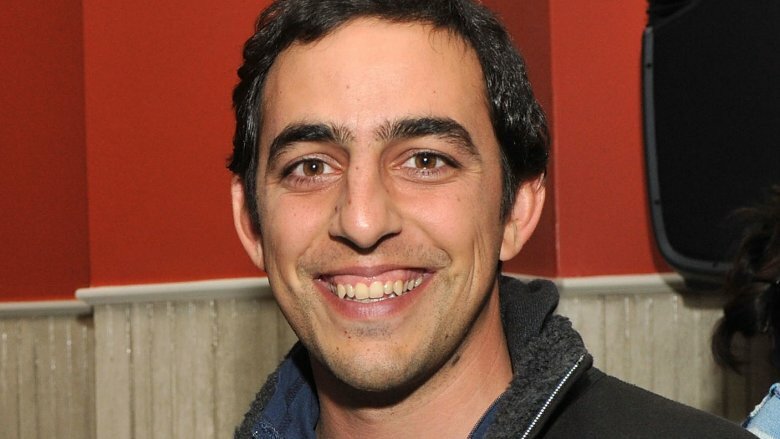 Salar "SK" Kamangar, an Iranian-born biology student at Stanford University, was Google's ninth employee, according to Mercury News. From his first days at Google, Kamangar got fully invested in the company's future, putting together their legal and financial wings, writing up Google's first business plan, and helping craft the workplace culture Google is still known for today. Kamanger went on to lead the development of Google AdWords, the advertising program that has been one of Google's greatest successes. Perhaps Kamangar's most defining legacy, as Fast Company points out, was his push in 2006 for Google to scoop up a two-year-old video streaming website named YouTube. Needless to say, this acquisition was a resounding success, and Kamanger was rewarded for his efforts by being made YouTube's CEO. Leading the world's biggest video platform is a far cry from a biology degree, but hey, life takes you to unexpected places. Back in 1999, Business Insider says Georges Harik was working at Silicon Graphics, and the day-to-day routine was getting to him. Right when he was thinking about taking a nice, long vacation, a friend rang him up saying someone they knew was starting a company called Google. While this might sound like the premise of a Seinfeld episode, but it obviously worked out pretty well for Harik. Though Harik admits to being unsure whether he was the seventh, eighth, ninth, or tenth employee, it didn't take him long to get his feet wet. 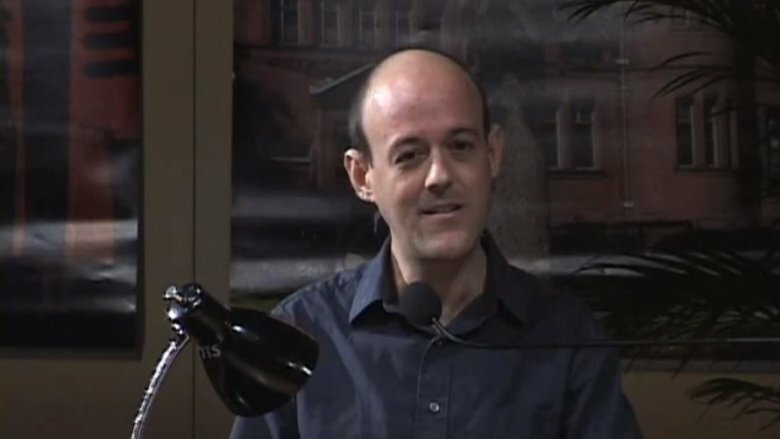 He was a key player in developing Google's functionality, developing parallel machine learning programs that went on to be used for Gmail's spam filter and AdSense's targeted marketing, according to Bloomberg, as well as helping with the product strategies for Google Talk, Google Video, and more. He left Google in 2005, according to Business Insider, though for a while he maintained some connection as an advisor to Alphabet's venture capital wing. In 2007, Harik co-founded the instant messaging app imo.im, as well as hslabs. These days, he's also an angel investor for various tech startups.